- Spokane police shot a man attempting to break into cars on North Division over the weekend. Two officers fired their service weapons at him, but it is unclear how long the confrontation between officers and the man lasted. - As food manufacturing plants have become more efficient, that means local food banks aren’t receiving as many donations from companies and need donations from the community. Oh yes, there’s yet another Republican presidential debate tonight. This time the cast of characters, the Top 8 candidates, are beaming into American homes from Milwaukee. Here’s what to look for according to the New York Times. The new Starbucks holiday cups had the Internet in a tizzy yesterday. 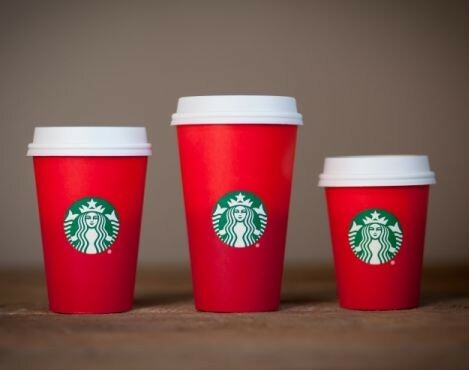 Yesterday, the Internet freaked out over Starbucks’ new holiday cups, which were revealed as ombre red and devoid of any holiday (read Christmas) paraphernalia. Everyone from Rob Lowe to Donald Trump suggested they may boycott the company for being too PC. However, Starbucks retains that their cups were meant to be a blank canvas for customers to create their own stories. A federal appeals court in New Orleans ruled against President Barack Obama’s plan to shield nearly five million illegal immigrants from deportation, upholding a May injunction. An appeal to the Supreme Court is now Obama’s only option.